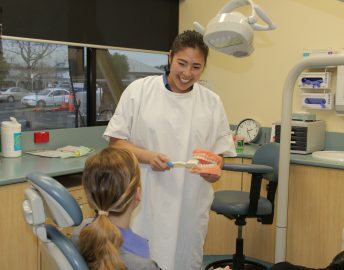 East Grampians Health Service serves our local community’s dental needs at our modern 4 chair Dental Clinic located at the Community Centre in Girdlestone Street, Ararat. Clinic hours are 8.30am to 5.00pm Monday to Friday. All adults who are Health Care or Pensioner Concession Card holders are eligible for dental treatment. 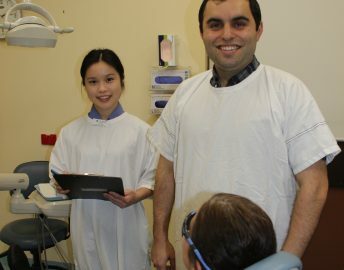 Aboriginal and Torres Straight Islanders, newly-arrived refugees, asylum seekers and clients that belong to a funded, agency-specific Special Needs Program have priority access to the Oral Health Program. Pregnant women who hold a Health Care Card or Pensioner Concession Card are also eligible for priority access. These patients will incur the normal fees for treatment. Please inform the reception staff if you are eligible for priority access. Waiting lists may apply for restorative (fillings) and prosthetic (denture) treatments. Please contact the Dental Clinic on 5352 9327. 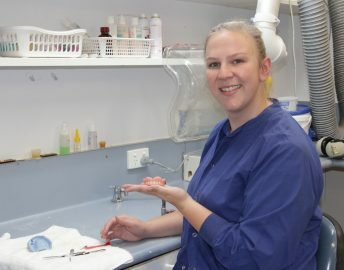 The Dental Health Services Victoria hot-line will answer your questions about public dental services including your closest public dental clinic. Phone: 1300 360 054 (for the cost of a local call).